We hear a lot about why asbestos in the building is harmful and should be restricted or outright excised. However, what exactly is asbestos? Before undertaking an operation to repair or excise asbestos-containing materials in your commercial building, it is best to educate yourself on the nature of your foe. Asbestos is a naturally-occurring set of minerals that gained wide popularity in ages past as a provider of all types of insulation, and more recently electrical and building insulation. Its seemingly myriad uses led to its widespread usage in all aspects of life. However, it was too good to be true. It was discovered that prolonged inhalation of asbestos fibers, which tended to break off from abrasion or friction, led to multiple fatal diseases. By 1920 and 1930, concerns about asbestos reached in all-time high, and by 1980 and 1990, asbestos use became banned or restricted in many countries. However, as a result of its prescience throughout our society in older times, asbestos is still found in many buildings today, and it is of paramount importance that you get your building inspected for asbestos-containing material, especially if it is older. Some commercial buildings in Perth may contain asbestos, causing your employees to potentially inhale dangerous fibers. If you call a professional that finds asbestos-containing materials, the following are some methods to mitigate the danger. 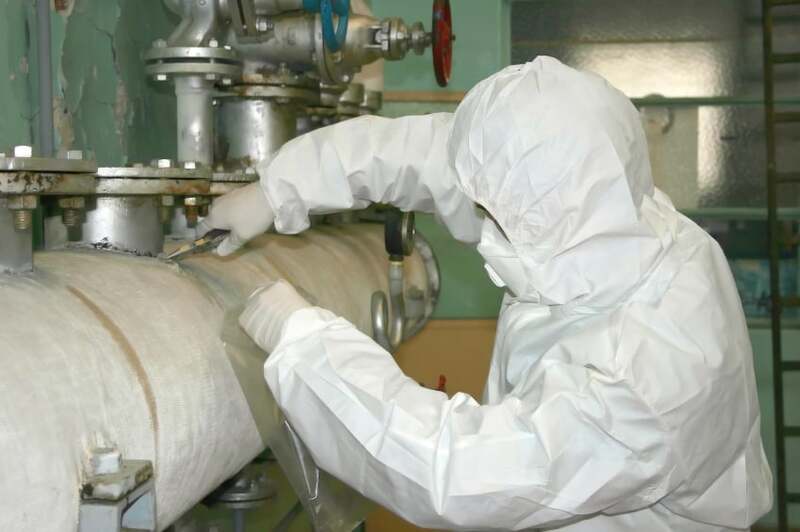 Encapsulation is the act of sealing asbestos within a protective membrane or shell to prevent harmful asbestos fumes from escaping and assaulting the respiratory systems of your employees. While it may seem counter-intuitive to keep this harmful substance in your building, encapsulation is a cost-effective method that can surprisingly be safer than outright removal. Asbestos fumes escape primarily when the asbestos itself is disturbed. Encapsulating causes little disturbance within the building and utterly traps fumes from escaping. Though many asbestos encapsulants are available on the market, it is best to hire a professional to complete this service. Asbestos removal is another, more final way to address this harmful substance’s presence in your building. While it will be undoubtedly more costly and will take a longer time to perform, this procedure will remove the asbestos, and the risk it carries, entirely from your building. Because this method is more invasive than encapsulation, it should overall be handled with more caution. Workers will likely seal off large portions of your building that are affected by asbestos and the areas it affects. They will also likely work deliberately, safely, and with a longer timetable than encapsulation. It is best to consult with a professional to explore your asbestos mitigation options and pick the best option for you. Visit our site for more details and further Perth commercial building services and information.